We are reputed as one of the leading Vermicelli Making Machine Manufacturers, Exporters and Suppliers from Delhi (India). We bring forth heavy-duty Vermicelli Making Machines that are designed and developed by adroit engineers in conformity with the set industrial norms and standards. Due to the use of top-of-the-line components and technologies, our designed Vermicelli Making Machines are energy efficient, sturdy in construction and offers long lasting functionality. 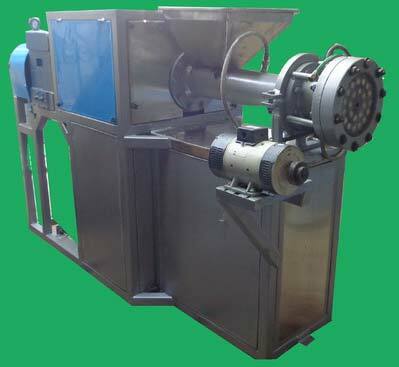 We make our Vermicelli Making Machines available in standards specifications and also can customize them on request.